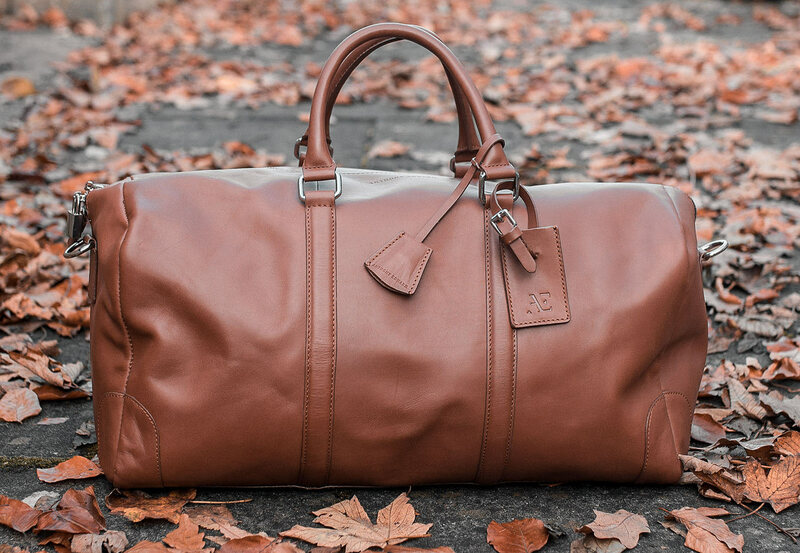 I’ve always wanted a classic looking duffle bag, one which has a timeless appearance from a bygone era when style was more refined and minimalist. 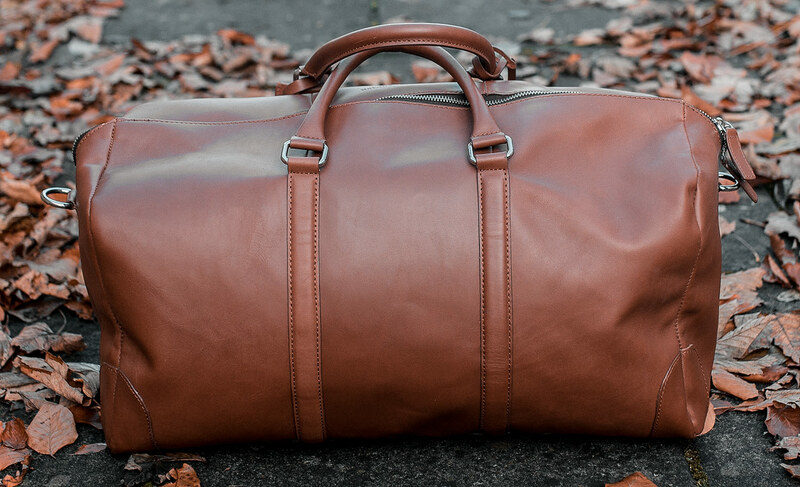 The Anthony Edward Classy Duffle Cognac Clearly Turquoise adheres to this particular type of design, so I just had to take a closer look in my latest review. Before we dive right into all the aspects of the bag, let us delve deeper into the backstory of the brand. Anthony Edward was founded in Sweden with the shared desire of two like-minded fashion lovers who wanted to rekindle the need for stylish bags and accessories. On one side we have Michael Meier with his invaluable knowledge of production and quality, on the other side there is Kristian Tysander, who notably worked closely with his brother Filip, together creating the Daniel Wellington brand a huge success. With these two at the helm, we are surely off to a good start! When choosing bags, particularly duffles, size and shape is arguably one of the most important factors. Purchasing too small can cause endless problems if you need to carry a lot of luggage, yet on the flip side, a bag too big can invariably end up too cumbersome and unwieldy. The AE hold-all is just the right size for the majority of trips, comfortably allowing me to fit all of my essentials inside. I am happy to report that I have never encountered any cause for concern with a lack of space. The shape of the bag features the typical structure of an all-purpose travelling hold-all, much longer in proportion compared to its width. Opting for this classic shape enables you to easily and comfortably carry it over your shoulder as well as storing awkwardly longer items on your journey. 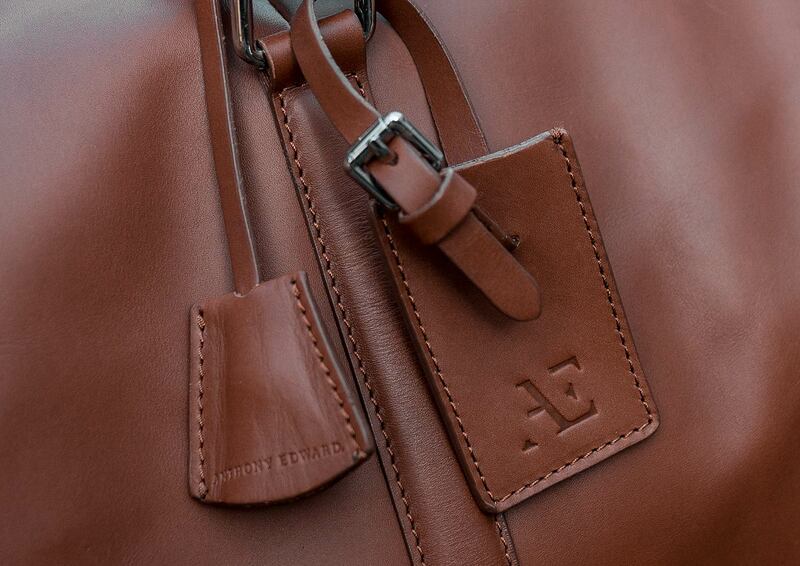 I will get straight to the point when it comes to design, Anthony Edward has a winner on its hands with its classy duffle range. 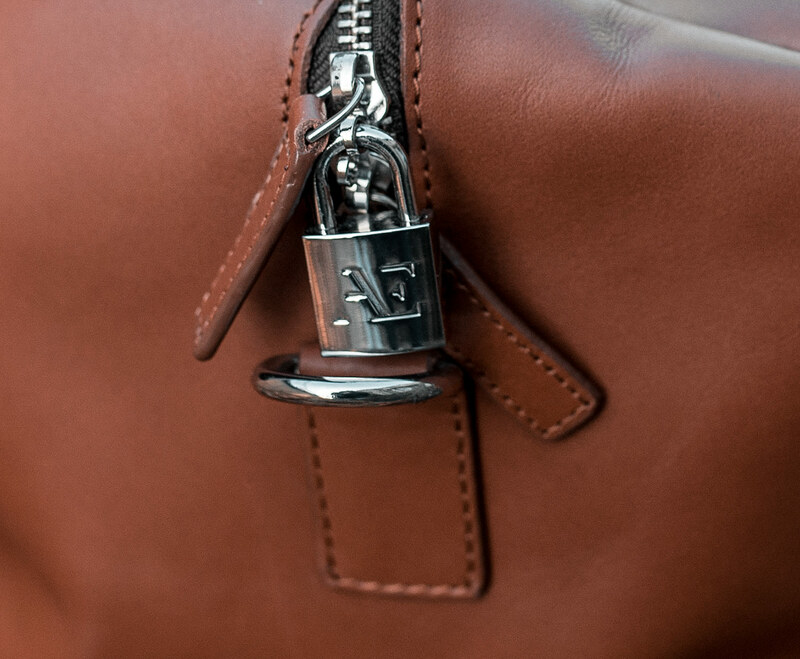 Constructed from a high-grain soft leather in a beautiful vegetable stained cognac tan brown colour, you can easily picture the golden era of 1950’s and 1960’s movie stars making their way across Italy and France in a classic Aston Martin, whilst their necessities are safely secured in an Anthony Edward bag. The leather is handcrafted and very soft, one might even consider it extremely delicate, even a small brush against a wall can cause an additional mark or scratch on the bag. I would not consider this a negative, in my opinion, it just helps to add character, similar to old leather sofas and chairs. Those weathered leather items always look better with that extra hint of ageing, which is what you can look forward to with this hold-all as the months and years go by. The bag includes all the features you would expect from a bag of this quality. First up we have exterior and interior pockets for items you need to effortlessly access (the outer pocket also includes a sturdy zip). 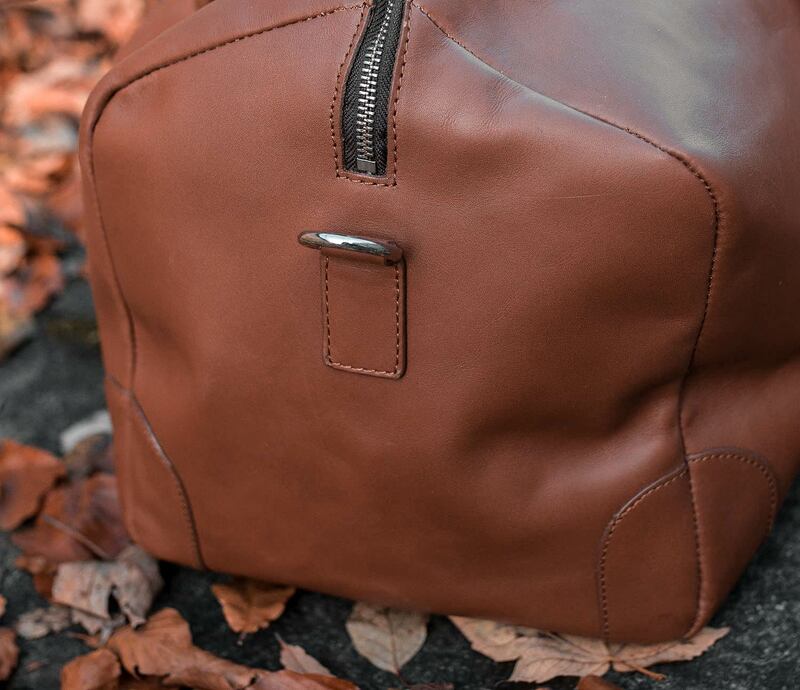 The base of the duffle has the addition of metal feet, keeping the leather raised slightly from the ground to keep it safe from grazing. Moving on to the details, we have a small lock and key with the AE name branded across the metal, hidden away inside the duffle is also a unique serial number. Also included is a removable name tag and shoulder strap when you require a streamlined look. The lining must be given special attention, it is gorgeous! Made from incredibly soft microfibre and is available in a selection of different colours. This material is the same as that cloth you may have encountered when attempting to wipe an LCD TV or phone screen, this choice of soft fabric lining ensures the contents of the bag will be very well protected. I chose the vibrant clearly turquoise colour, which gives an attractive contrast effect! 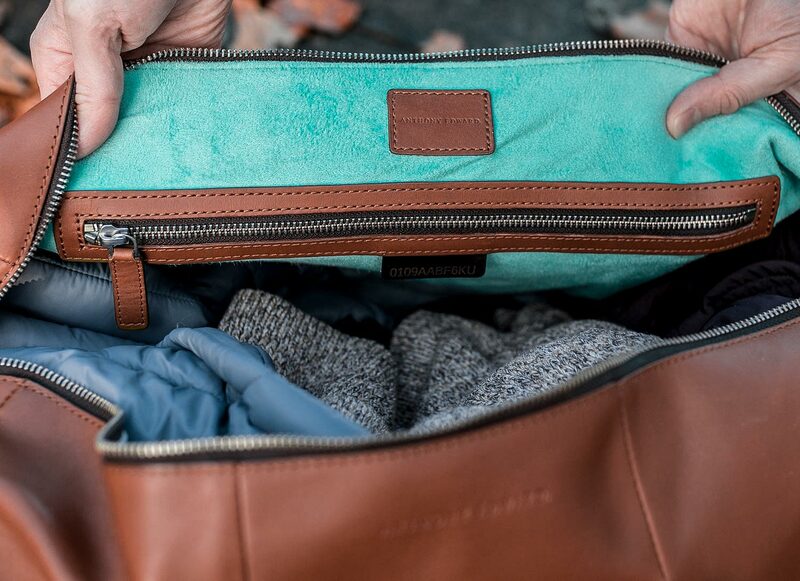 With its soft leather fabric, venturing out with the classy duffel is a joy. No fear of any uncomfortable edges pressing into your skin when worn, the same goes for carrying it in hand. Matching the bag with an outfit is a fortunately simple task, its classic medium tan cognac colour is one of the most iconic shades, easily paired with almost any outfit in your wardrobe. Choosing a classic smarter look is best, such as a skinny suit or even a leather jacket and Chelsea boots. Sportswear should probably be avoided! When it comes to usage, the hold-all can be used in a multitude of situations, long vacations, day trips or even venturing into the office. I can safely guarantee there are no problems in this department. The Anthony Edward Classy Duffle comes packaged in a truly beautiful box, dark soft touch cardboard which is fastened shut with ribbon. Once opened, your new hold-all is kept nice and safe inside a beige dust bag. First impressions are everything and AE surely ticks all the boxes here! 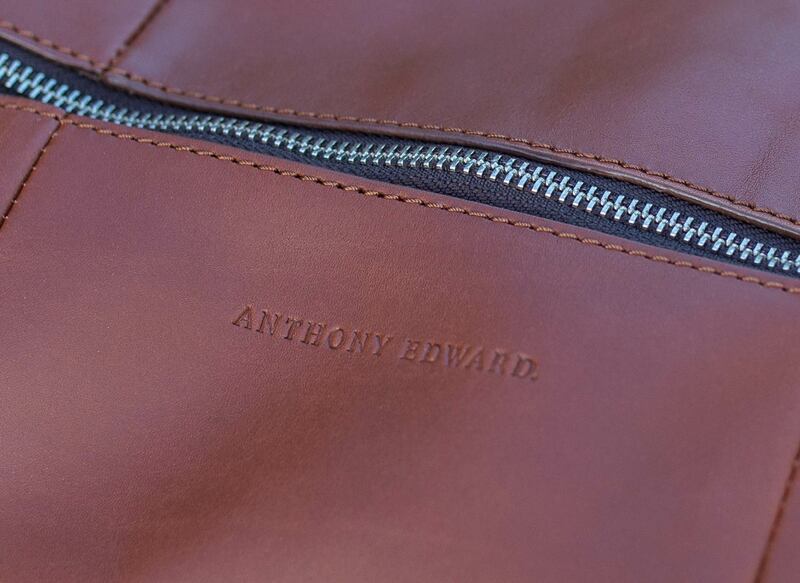 Anthony Edward is not marketed as a budget brand, everything is designed to impress, with this in mind the price point reflects the quality on display, guaranteeing a first class product with nothing left to chance. Each bag comes complete with a certificate of authenticity and a lifetime warranty, proving how much faith they have in the quality of their products. Sometimes you need to pay that little extra for an item which will last an exceptional amount of time. 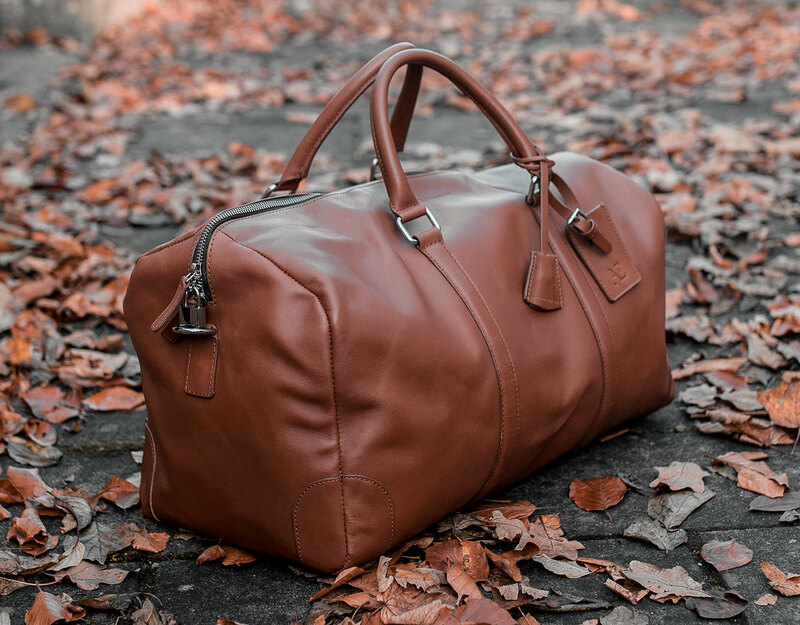 As previously stated, I’ve always wanted a quality bag which has a timeless quality and classic style, with the Anthony Edward Classy Duffle, I may have found what I have been looking for! Beautifully designed, fantastic colour and sophisticated details, what more could you want? What do you think of this bag? Is it something you would consider adding to your wardrobe? Please let me know in the comments section below.